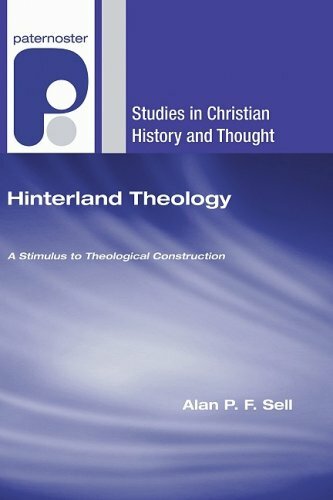 Your review of Sell’s work whetted my appetite for deep theological reading. There is something about a meticulously researched treatise that satisfies the soul. I have one work by Sell, and it spoke to my heart of a person who really gave himself to investigating and understanding his subject. Now, the reviewer has given us a rather thorough precis that awakens the painful and greedy desire for theological knowledge and understanding – perhaps to be likened to the hart that pants after the water brook. I like the salesmanship so much I will recommend it to my son who is also a minister as a tome which will challenge his mind and heart intellectually and theologically. Thank you for this careful and thoughtful review. Alan Sell’s many writings over the years have helped me to better understand the often overlooked free-church tradition (my own) within the Reformed family. He has been a steadfast keeper of the flame (and the lore) of this tradition. And good to see a mention of RS Franks, whose writings on the atonement have been helpful to my work.